For Stanisław Skrowaczewski’s less observant fans, myself included, the announcement of this concert in 2012 seemed little short of miraculous. Skrowaczewski has never been in the very top league of conductors, but he has established a cult following on both sides of the Atlantic, in the US for his tenure with the Minnesota (then Minneapolis) Orchestra in the 60s, and in the UK for his work with the Hallé. His Bruckner credentials were secured in 2002 by a symphony cycle with the Saarbrücken RSO (OEHMS 207), one of the true greats. But given that he was approaching 80 when that set was released, his apparent silence in the intervening years could have been taken as a sign that he’d moved on to a better place. As it turned out, the better place in question was Tokyo, as Skrowaczewski is still very much alive, and has spent much of the intervening period leading the Yomiuri Nippon Symphony Orchestra. This concert with the London Symphony was just one of his many Bruckner performances with European orchestras in the 2012-13 season; a Fourth Symphony with the Bergen Philharmonic (obligingly webstreamed live) proved equally revelatory. In the Saarbrücken cycle, Skrowaczewski takes a different approach to each symphony. Some are sharply articulated with punchy accents, others smooth and undemonstrative. But the overriding concern in each is for line and form, he’s a conductor who understands, and is able to clearly communicate, the architecture of these works. The Saarbrücken Seventh is one of the smoother ones. Skrowaczewski relies on the work’s long, flowing melodies to propel the music and, for the most part, eschews surprising twists or emphatic drama. His reading is slow, Karajan or Haitink slow, and seems even slower for the continuity of tempo he maintains between sections. But this has the effect of concentrating the work’s musical focus, integrating everything into a single, organic unity where individual sections only make sense as part of the whole. Ten years later and Skrowaczewski’s approach is much the same. If anything, the qualities that made the previous version so distinctive are even more pronounced. That sense of continuous, unbroken concentration remains, as does the feeling that the conductor has nothing to prove to anyone, he’s just presenting the music as he hears it. 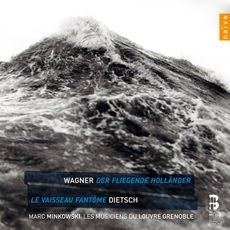 Tempos remain slow, especially in the first movement, which is magisterial in its almost tectonic flow. The Adagio is perhaps the most conventional movement, simply because many other conductors also take this continuous, even approach here. The Scherzo is more about elegance than drama, although there is plenty of both. And the Finale is a real culmination, like the end of some great journey. With all due respect to the Saarbrücken RSO, the most significant difference between this and the 2002 recording is the quality of the playing from the London Philharmonic. Skrowaczewski really needs a luminous, round, and even string tone for his interpretation to make sense, and that’s exactly what this orchestra gives him. 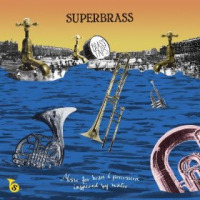 Also the woodwind solos have more character and the trombone and Wagner tuba chorales have an evenness and precision very rarely heard, even in this oft-recorded work. In fact, the LPO seems to be intent on positioning itself as the UK’s leading Bruckner orchestra. Other releases on its own label include (old, obviously) recordings of the Fourth, Seventh, and Eighth symphonies with Tennstedt, and a Sixth with Christoph Eschenbach. That Sixth really took me by surprise when it was released a few years ago; unlike Skrowaczewski, Eschenbach is hardly known for his Bruckner. But it is a stunning reading, and my review at the time was so effusive in its praise that it is quoted in the liner for this one. I should concede that Skrowaczewski’s Seventh probably won’t be for everyone. His refusal to emphasize climaxes, or even to push the tempos when Bruckner specifies, could be considered perverse. His solution to the coda of the first movement is a case in point. He increases the volume continuously and evenly up to the last chord, but without varying the tempo; less sympathetic listeners may hear this as obsessive or even unfeeling. No one could accuse him of being boring though, nor formulaic. 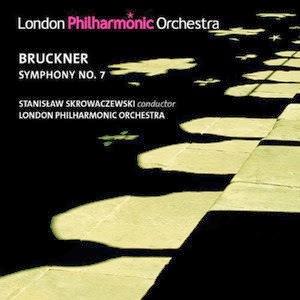 Whatever else you think of this Bruckner Seven, there is no doubt that it is completely distinctive. And those sympathetic to Skrowaczewski’s approach will find every note of it utterly compelling. This review appears in Fanfare Magazine, issue 37:3. Bavarian Radio Chorus (Chor des Bayerischen Rundfunks), Peter Dijkstra, cond. The continuing popularity of Schnittke’s music is fuelled as much by the enthusiasm of performers as by that of audiences. That’s especially true of the Choir Concerto, although the motivations of the choirs who have approached it have not always worked in the Concerto’s favour. The music is based on 19th-century Russian Orthodox traditions, so the aesthetic is largely tonal, or at least modal, but the demands on the singers are extreme. Extended passages in loud dynamics and encompassing the far ends of the tessitura are the rule rather than the exception, and many professional choirs have seen the piece as the ideal vehicle to showcase their virtuosity. Unfortunately, the result has been many performances that have been given just to show that the performers can sing the work at all, not that they can sing it well. When it comes to recordings the situation is very different. There are only a handful on the market, but all are good, and this new one from the Bavarian Radio Choir sits well alongside the competition. The benchmark remains Valery Polyansky, whose two recordings, from 1988 and 1991, perfectly capture the liturgical atmosphere of this music but without sacrificing any detail. He also has the advantage of Russian singers, with all the benefits that suggests in terms of pronunciation and focussed, weighty bass. Polynasky’s two recordings are very similar, the first, with the USSR Ministry of Culture Chamber Choir, was released on the state-owned Gramzapis label, while the second, with the Russian State Symphonic Cappella, is on Chandos. It would take a keener ear than mine to hear the differences between the two, and as the venue and production team are exactly the same, it raises the suspicion that these are in fact the same choir and the same recording. But whatever Chandos was up to here, the company has certainly done the work proud, later releasing a second recording, with the Danish National Radio Choir under Stefan Parkman. It has the same liner note, but is a markedly different reading, more expansive and less focussed. It too is excellent, but Polyansky retains the edge. Since then there has been a British contender, from the Holst Singers under Stephen Layton on Hyperion. That’s a good recording too, but like the Danes the Holst Singers emphasise atmosphere at the expense of detail. In both cases, the choir is relatively small and has really to push to get the volume required for the louder passages. This new recording from Peter Dijkstra is probably the best one since Polyansky. He has an impressively large choir at his disposal, and an impressively professional one too. His reading is considerably faster than all the others on the market. On all the previous recordings, the first movement comes in at over 17 minutes, but Dijkstra delivers it in 14:48. Yet it never sounds rushed, and the singers retain a sense of poise throughout. This is, I think, the first commercial recording to be made in a studio rather than a church, which may explain the shorter running time. The sound is reverberant enough for the music’s liturgical character, but Dijkstra never has to wait at the end of phrases for the sound to die away before continuing. My only major complaint is the lack of agogic definition. Schnittke’s setting of the text skilfully propels the music through the use of hard downbeat consonants, and in the second movement in particular, those regular and rhythmic entries give the music pulse and pace, however much reverberation is involved. Here the accents are often lost in the sonority of the textures, a result perhaps of his large choir, although not an automatic one. Also, the far ends of the tessitura are not served here as well as they are by Polyansky’s choir(s). Enough basses are deployed to ensure the sound is bottom-heavy when required, but the singers don’t have the focus of tone that a smaller Russian basso profundo group could offer. And the sopranos occasionally struggle with the loud high passages. That’s true of all the commercial recordings, but again, Polyansky gives us the best high notes. Compared to the substance and dramatic weight of the Concerto, the remaining works seem insubstantial indeed, but they’re worth hearing nonetheless. The Three Sacred Hymns were all written in a single night, and show a fluency of melodic and harmonic writing that comes with masterful composition at that speed. The Hymns are the closest Schnittke ever got to actual Orthodox liturgical music and fit within most of the stylistic prescriptions, the only exception being that he uses mixed choir. The Bavarian voices are less taxed here technically, although they are still at a disadvantage to their Russian colleagues in terms of style. But actually they do a very good job of sounding like a Russian church choir and the music is given a very fine performance. Voices of Nature is a work for 10 female voices singing vocalise and a very subtly deployed vibraphone. Stylistically, it sits somewhere between Orthodox liturgy and the more consonant sonorism of late Penderecki. Like the Three Hymns it is fairly inconsequential music, and poses few problems for the singers here. 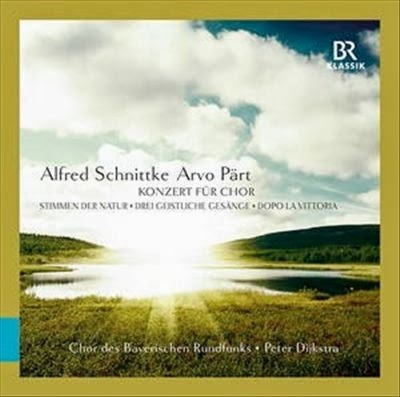 Several other minor works by Schnittke could have been chosen to round out the programme, but instead we are offered Arvo Pärt’s short unaccompanied cantata Dopo la vittoria. The comparison between this and Schnittke’s Choir Concerto would put Pärt in a poor light, but the comparison that the programme instead suggests is with the Sacred Hymns and with Voices of Nature. The similarities are strong, and attest to the fact that the composers where close friends for many years. We don’t tend to think of Schnittke as a religious minimalist these days, but the comparison with Pärt here shows that he did at least dabble. Recording quality here is very good (why no SACD?) and the choir throughout sounds immediate and clear, but without that detail detracting from the overall warmth of sound. Chances are that Schnittke’s Choir Concerto will continue to appear on commercial recordings in the years to come, but it is unlikely that any subsequent releases will be significantly better than this one.